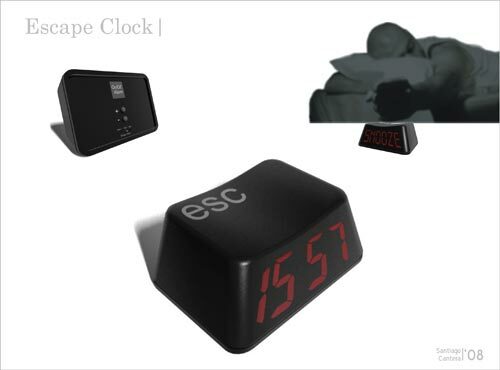 Check out this cool concept alarm clock from designer Santiago Cantera, the Escape Clock. 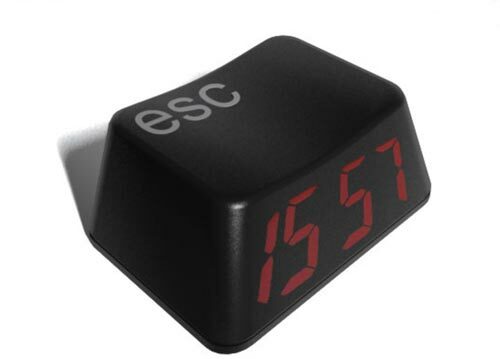 The Escape clock is shaped like an ESC key, and also comes with wireless speakers and a dock. As you can see from the photo’s the time is displayed on the front of the ESC key via LEDs,when the alarm goes of and you want to snooze you just hit the ESC key on the top and it goes into snooze mode. Unfortunately there aren’t many more details about other functions of the clock, I love the design though.